SortSite checks sites against W3 WCAG accessibility standards, and compliance with Section 508 of the Rehabilitation Act. 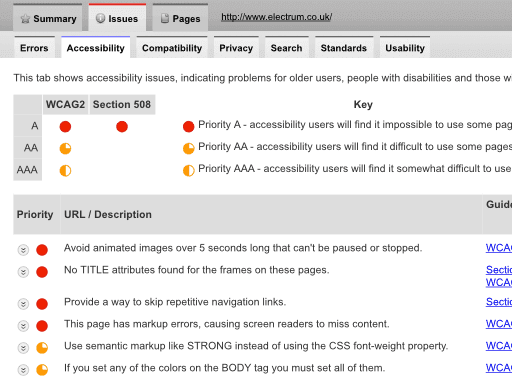 These checks help find problems stopping disabled users from using a web site. Note: some accessibility issues require human judgement and cannot be tested automatically.